Summary: Deep Hayes Country Park covers 143 acres with a pleasant mix of woodland, meadows and pools but as usual I have to delve the site's industrial past. 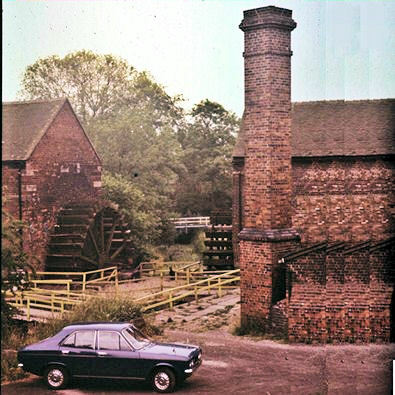 Coal and clay extraction has reshaped the valley with iron smelting and brick making also part of its industrial heritage. 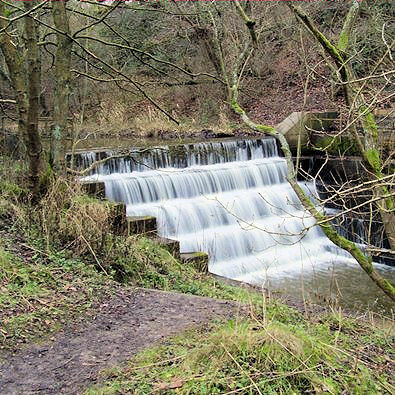 The pools were built in 1848 by the Potteries Waterworks Company to compensate the River Churnet for loss of water in serving the mills downstream and also to supply water for Hanley, Burslem and Tunstall. 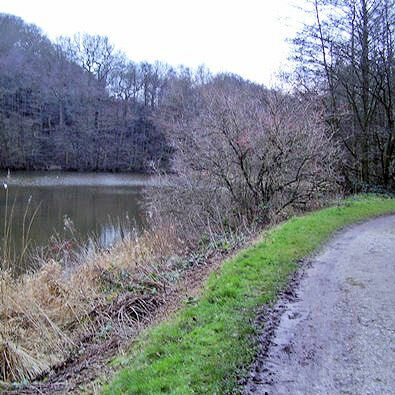 There is car parking at Deep Hayes Country Park but like all walks it can be started anywhere on route. A figure of eight of 6 miles so it can be split making two 3 mile walks both with plenty of interest and could if you wish both be started from the car park. The path starts well but be warned in wet conditions the good surface suddenly stops and the going can get a bit rough. This is all permissive but eventually we meet a crossing Definitive path and take this to escape the park up a steep climb where a seat, in memory of Roger Smith an RA Footpath Worker, offers a rest but sadly no view. This section of our walk (and a later one at Cheddleton) is used as part of The Great English Walk from Chepstow to Berwick upon Tweed. Lighting conditions this time were not good so I have used some pictures from my last visit but even then it was raining. Cheddleton church has stained glass by William Morris and Edward Burne Jones so a peep inside might be worth your while. The Black Lion is the village local while the Red Lion (Listed Grade II) on the main road looks a bit up market. 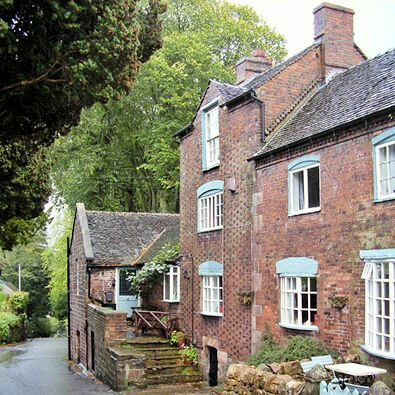 There are some pleasant old houses as you walk down Hollow Lane. 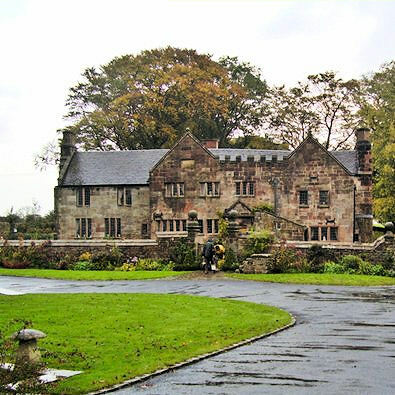 Cheddleton parish has a wealth of Listed Buildings, we will see more on the journey ahead. 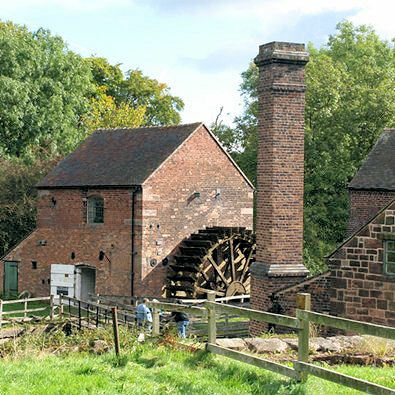 The next highlight on the walk is Cheddleton Flint Mill (Listed Grade II*) a fine example of a water mill that ground flint for the pottery industry. Limited opening but you can see a lot even when it's closed. The canal towpath is easy walking with the river Churnet on our right before the canal swings west into the valley of the Endon Brook. At bridge number 39 you can call it a day at 3 miles and return to the car park at Deep Hayes. Continue along the canal passing the Holly Bush Inn once a tiny canal side pub that now draws the crowds and has been extended to accommodate this extra trade. 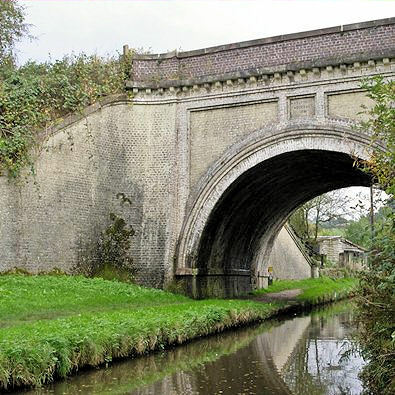 Another wow (wonder of the waterways) is just round the corner where boats pass over the top of boats, across the Hazelhurst Aqueduct (Listed Grade II). Built in 1841 sixty years after the canal first opened. 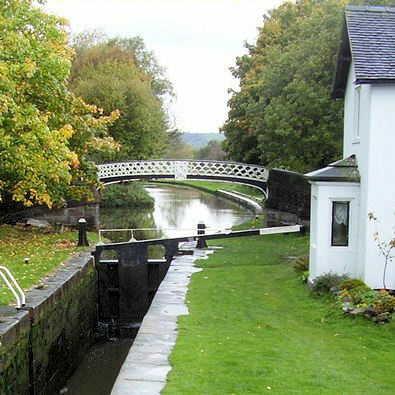 It provided an improvement to navigation together with the building of a new flight of locks to replace a bottle neck staircase. Passing under the aqueduct the 3 new locks come into view, with luck you will see how they work as this section can be busy with pleasure craft in the summer. At the lock cottage by the top lock we leave the canal and follow footpaths to Stonelowe Hall (Listed Grade II) a fine 17th century farmhouse restored in 1866 and still cherished. The massive although squat tower of St Chad's church is, in my opinion, out of proportion to the nave. Others say "An impressive Grade II* listed building designed by Gerald Horsley (1862-1917) he also designed Hatch End, Harrow & Wealdstone and Bushey stations now part of the London underground network. 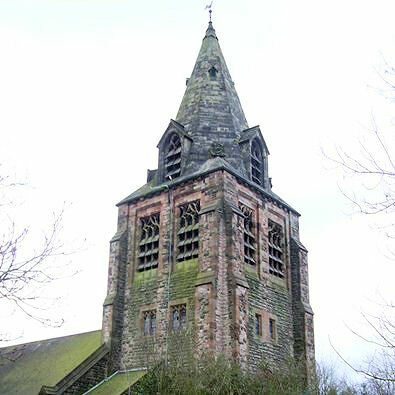 Built of local stone in the Decorated Gothic style with a superb west tower and spire it was consecrated in 1905. Yes the tower may be superb and massive but it has no bells! A short walk on the pavement alongside the A53 brings us to the Wheel Inn should refreshment be required and you have timed it within opening hours. Its all down hill from here so there was really no need for a break. At the foot of the hill we cross over the Leek branch of the Caldon canal. This branch clings to the hillside to pass over Hazelhurst aqueduct. 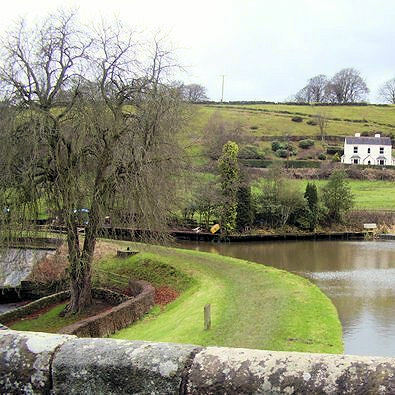 Serving the town of it's name was just one function, the main purpose of this canal was to transport water from Rudyard Reservoir to feed first the Caldon canal then the Trent and Mersey at Stoke. The branch winds around the hillside and makes an attractive turn here at Horse Bridge.